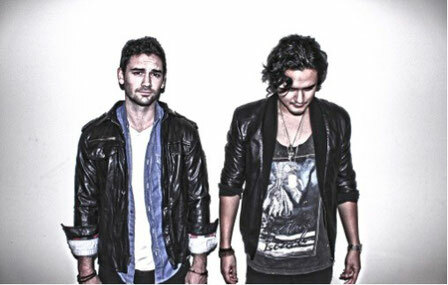 Feenixpawl have fast made their mark on the electronic music scene having garnered international support from the likes of Swedish House Mafia, Tiesto, Avicii, David Guetta and Kaskade, releasing a Number 1 single on Beatport, signing with Axtone, and producing remixes for some of the world’s biggest dance labels including Big Beat, Ultra and Neon Records. 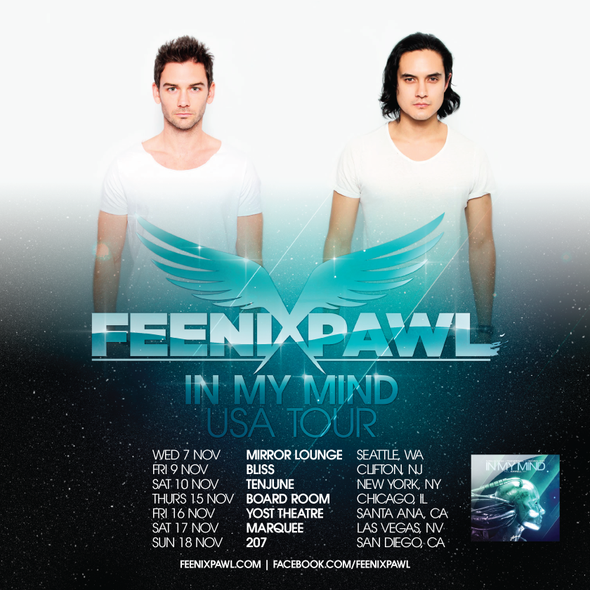 Now, the Australian duo has set their sites on the USA with the “In My Mind” tour – their first ever tour of the states. In 2011 their bootleg of Adele’s ‘Rolling In The Deep’ hit music blogs, spreading like wildfire, gaining the boys international recognition. Within days of its creation it was being played on radio throughout Australia and became a regular tune in Kaskade’s playlist after he dropped it at Pacha, NYC. The final quarter of 2011 saw the boys collaborate with Ivan Gough, one half of Australian house duo TV Rock. The talent of singer/songwriter Georgi Kay rounded out this team and together they produced ‘In My Mind’, a big room tune which Axwell immediately secured for release on his label Axtone.